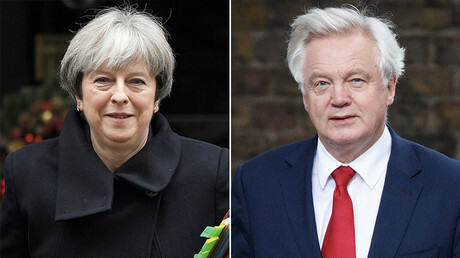 Brexit secretary David Davis has written to rebel Tory MPs in a bid to avert a revolt and potential Commons defeat for the government’s EU withdrawal legislation. Davis has promised them a “meaningful vote” on Brexit. Led by former Attorney General Dominic Grieve – a Conservative MP – up to 20 Tory rebels want to insert a legal guarantee that MPs should get a vote on any Brexit deal before it is finalized. That would mean the UK’s divorce deal with the EU would have to be approved by Parliament. The UK is due to leave the EU in March 2019, and the EU Withdrawal Bill is a key part of the government’s exit strategy. Its effects include ending the supremacy of EU law and copying existing EU law into the UK statute book, so that the same rules and regulations apply post-Brexit. The bill is currently making its way through Parliament, where MPs from across the House of Commons have been trying to amend it. So far it has emerged unscathed, but on Wednesday several rebels are lining up behind Grieve’s bid to ensure a “meaningful vote” on any final deal agreed with Brussels. The PM’s lack of a majority leaves her vulnerable to any Commons revolt and with up to 20 Tory MPs set to side with Grieve, she could face a damaging blow to her authority. “I think there are quite a few who may support me – I think enough, if this comes to a vote, to defeat the government,” Grieve told the BBC. Grieve, who campaigned for Remain in the referendum, denied his amendment, which would require any final deal with the EU to be approved by a separate act of Parliament before it could be implemented, was designed to prevent Brexit happening. Allen’s fellow Remain-supporting Conservative and potential rebel, Anna Soubry, used Tuesday’s debate on the EU Withdrawal Bill to urge the government to “give a little bit more” to reach out to the 48 percent of voters who wanted to stay in the EU. “For people to say that in a tabling of an amendment you are somehow trying to thwart or stop Brexit is frankly gravely offensive and that level of insult, because it is an insult, has got to stop,” she said. Former Conservative leader Iain Duncan Smith accused Grieve of “grandstanding” and trying to tie the government’s hands in negotiations. The Brexiteer also suggested rebels are looking to “derail” the EU Withdrawal Bill. 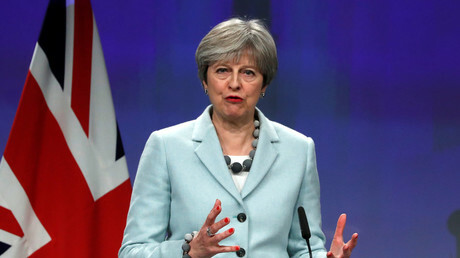 The crunch vote could come just hours before May heads to a summit in Brussels on Thursday, where she expects EU leaders to sanction the start of Brexit trade talks.